Metal detecting is not just for grown ups. To help you make an informed purchasing decision, we’ve made a list of some of the Best Metal Detectors for kids and young teenagers .But before beginning, let us have a look at what makes a metal detector for kids different from standard metal detectors. If you have some experience with metal hunting, you might understand the importance of ground balance, sensitivity, threshold, and discrimination feature of metal detectors. If the metal detector for kids you choose is complicated, then there is a major possibility that your child might find it difficult to use the metal detector, and can lose interest in the treasure hunting hobby very quickly. 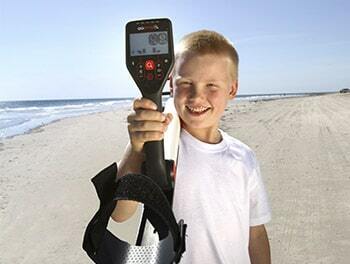 The next important consideration when choosing a metal detector for kids, is the weight and size of the metal detector. The foundation of a good metal hunter needs to be laid right when they are young, and a good metal detector for kids can play an integral role in the process. Consider the following metal detectors as great starter units. The Garrett Ace 200 or 250, Fisher F11, Teknetics Digitek, Minelab GO-Find 20, or Tesoro Compadre. Do not be tempted by price to purchase an import from China. These detectors are of poor quality and performance.